An exciting journey... with a foregone conclusion. The group stages of the Mid-Season Invitational at Shanghai were full of upsets and clashes, flameouts and triumphs. While G2 from Europe and Supermassive eSports from Turkey were unable to advance, fans were glued to their screens and monitors to see the last four teams battle it out. There was a lot on the line for every region: the Flash Wolves from Taiwan were eager to prove that their entire region deserves more acclaim and attention. China’s Royal Never Give Up had roared through the group stages and were seeking to prove it wasn’t a fluke. Korea’s SKTelecom T1 had claimed every other trophy, but a trophy from MSI was missing from their case. Finally, Counter Logic Gaming were the representatives from North America, and with G2 counted out, they carried the hopes and dreams of the west on their shoulders. With four teams all hungry for the top spot, and only one winner, the knockout stages provided some dynamic and fascinating games. Let’s look back at the final few series. Who came out ahead... and why? Royal Never Give up were anticipated to be a strong team, but when they left the group stages as number one fans and analysts both sat up and really started paying attention. They would immediately be tested against tournament favourites SKT. SKT had dropped four games during groups, an unexpected struggle. RNG were ready to go for the throat and take the series off the seemingly-staggered titans. The logic went that if RNG beat SKT in the knockout stage, the tournament would be theirs. The Chinese team had an amazing early showing, winning their first game handily. Trundle served as an unstoppable terminator of a champion, wailing on SKT’s nexus without any consideration for the team around him. The nexus went down, social media exploded with praise for RNG’s Looper, and people wondered if this would be the fall of SKT. They had evaded the Tigers’ claws back in Korea... would they be able to best China’s champions as well? The answer was... yes. SKT took the next three games in a row, largely because of a hugely superior pick/ban phase. RNG continued the trend of bewildering support picks by going with the all-in Leona, which did very little, and SKT were able to pick up massive power picks Kindred and Ryze. SKT moved on, looking refreshed after their shaky performance in the group phase, to face the winner of the next series. Flash Wolves and Counter Logic Gaming both had so much to prove as they entered the arena for their Best of 5 series. Not only did they want to show their own team’s strength, and make it to the finals, but each were representing their region. North America and Taiwan are very different scenes with very different histories, but they are both often underrated and dismissed. This series exemplified the tension of underdog regions meeting and testing their strength against one another. The teams traded volleys, going 1-1 in the starting games. Fans were worried. There’s a reason that “win one game to give fans false hope” is such a popular meme when it comes to CLG. The boys in red, white, and blue rallied and took the next game, and the next, turning the series around to a decisive 3-1 victory. Everyone at home and in the crowds cheering for NA breathed a sigh of relief, but the real test lay ahead: a reinvigorated SKT. CLG had stumbled against the Flash Wolves. How would they survive against the Kings of Korea? The question that most fans had wasn’t ‘will CLG lose?’: that was simply taken as a given. SKT were the favourites coming into the tournament, and no one saw CLG overcoming the impassable barrier that was a best-of-5 series against them. Instead, the question was: will CLG take a game—or two? The answer, unfortunately, was no. SKT claimed their final trophy in a tidy 3-0 win. The series was quick and clean, each team confident in their pick and ban phase. (They were, in fact, so confident that games 1 and 2 had identical drafts. CLG couldn’t measure up, and SKT walked away the victors. Of course, the real story isn’t ‘CLG gets smashed in a 0-3 series, returning home in shame’. The real story is that a young team, hailing from North America and having two rookies on their roster, overcame the odds. They made it through group phases, earned valuable experience that likely outweighs the lessons they would have learned over an average split, and made their region proud. SKT leave Shanghai victorious, taking home the only trophy that their case lacked. They also have their own incredible story: an unstoppable force ranging across the competitive League scene. In a world where people expect pros to burn out or move on, Faker has remained remarkably consistent and loyal to SKT—even though money-fueled exoduses, rough regular season games, high expectations, and the probable temptation of stasis after so many achievements have all stood in his path. Of course, the next test is Worlds. Every team left MSI stronger for the experience, and they’ll return to their home regions to raise the bar. 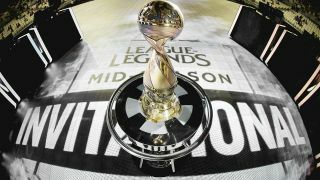 This MSI may have had a foregone conclusion of a SKT victory, but getting there has been so much fun, with so many surprises. Not only has it been great to watch as a viewer, but the players who have had the honour and privilege of attending have all learned valuable lessons (yes, even G2.) Who knows what surprises the next international tournament will hold?